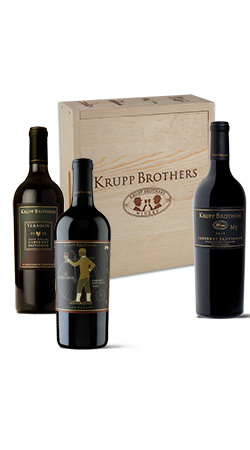 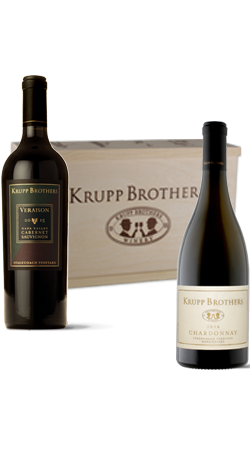 This Gift Set consists of 1 bottle each of 2016 Krupp Brothers Chardonnay and 2015 Veraison Cabernet Sauvignon in a Krupp Brothers wood box. 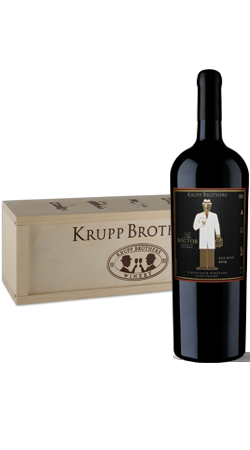 2014 The Doctor 1.5L, signed by Dr. Jan Krupp, in a wood box. 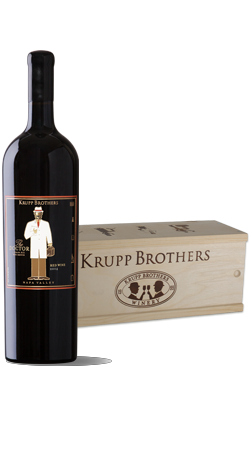 2014 The Doctor etched 3L bottle, signed by Dr. Jan Krupp, in a wood box. 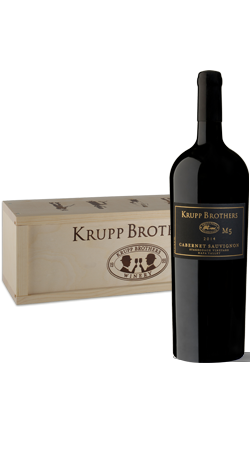 2014 M5 Cabernet Sauvignon, signed by Dr Jan Krupp, in Wood Box. 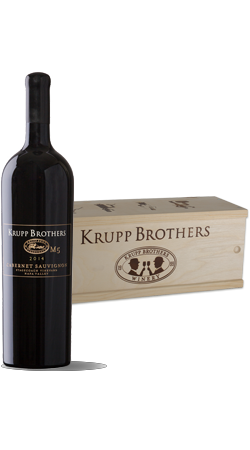 2014 M5 Cabernet etched 3L bottle, signed by Dr. Jan Krupp, in a wood box.